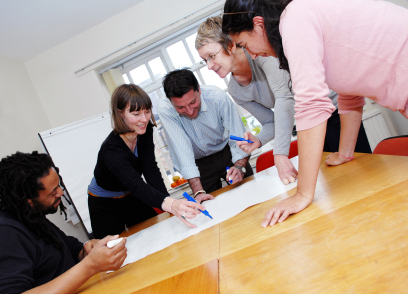 These great fun, fast paced sessions are often the best choice for training for your team. When you have identified just a handful of very specific topics for your team, and you want to ensure every minute of the training is relevant, outcome focused and engaging for your team. In this situation we will work with you to select the most poignant topics from the full course outline (normally 3 - 5 topics from the full course) and deliver a tailored course that achieves the biggest outcome in the least amount of time. When your operational situation is such that you can't or would prefer not to have everyone off the job at once, or off the job for a full day. Commonly in this situation we rotate half the team through in the morning and the other half through in the afternoon, and often cover the full course over 2 x 3 hour sessions over two or more days. However, we will work with you to find the most suitable solution to accommodate your team and their situation.